With a little bit of planning, you can get your drink on (responsibly) and eat great food while still progressing toward your weight loss goals. In fact, a weight loss plan that involves booze and sliders is probably going to be a lot easier to stick to than one that forbids bread and alcohol. If you keep your total energy intake less than your output, you will lose weight. If you can enjoy your life while you’re doing so, you will not only be more successful, you will be happier too. 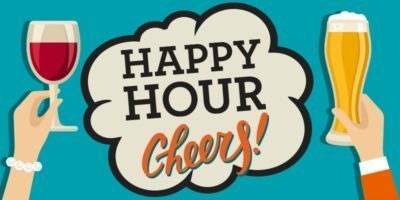 Check out this great guide to Philly Happy Hour, crafted by our amazing nutrition specialist and exercise physiologist Emily Northington.